Before they applied for homestead land, immigrants to USA or Canada had to file a declaration of intent to be naturalized. Precise birth information was required and the immigrant's place of origin will likely be noted. The Homestead Act of 1862 is invaluable. Before applying for homestead land, immigrants had to have a declaration of intent filed. Search Federal land title records for Eastern Public Land States issued between 1820 and 1908. Search the online database for land patent records for Alabama, Alaska, Arizona, Arkansas, California, Colorado, Florida, Idaho, Illinois, Indiana, Iowa, Kansas, Louisiana, Michigan, Minnesota, Mississippi, Missouri, Montana, Nebraska, Nevada, New Mexico, North Dakota, Ohio, Oklahoma, Oregon, South Dakota, Utah, Washington, Wisconsin, and Wyoming. The following are fee-based but you can Sign up now for a free 14-day Free Trial! Free trials are a great way to save money on pay-to-view subscriptions. 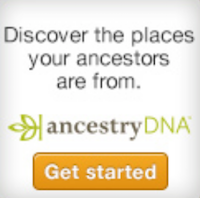 Try these free trials below to find your ancestors and start your family tree. Best Buys on Genealogy CDs This CD contains information on approximately 12,690 individuals mentioned in land record abstracts for Bucks and Lancaster Counties, Pennsylvania. While the land records are from Pennsylvania, often the individuals listed resided in neighboring Mid-Atlantic States. Ohio, 1787-1840 Land and Tax Records Best Buys on Genealogy CDs Kentucky, 1774-1924 Land Records A public-domain state, Ohio's early land and tax records document not only state history but family history as well. The records here can serve as substitutes for state census records and include the period of time before Ohio was granted statehood in 1803.